When sports media company Perform Group announced that it would be diving deep into the boxing business with an 8-year, $1 billion investment, UK promoter Eddie Hearn seemed like the perfect person to be put in charge. Hearn, after all, is credited for doing much of the heavy lifting in turning the UK into a boxing hotspot. As a young, energetic promoter with a “new school” sensibility, Hearn was probably the smartest choice to head such an ambitious project. 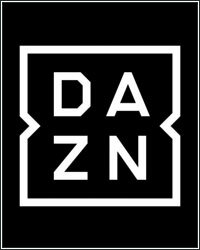 Five months into the project and less than a full month after official kickoff in the US, DAZN is doing alright for itself as a brand new venture and a fairly new broadcast model in an extremely difficult and stubborn US boxing market that has been set in its ways for decades. But the upstart company is still missing one key component that is crucial to its long-term success. It needs stars. Heavyweight champ Anthony Joshua is a legitimate international star, but the US market demands an “in-person” presence and not a late afternoon or tape delay foreign star. Hearn recently held his first US-based card for DAZN and it was a solid enough effort that used a good portion of the company’s available talent. The Chicago card was headlined by Jessie Vargas vs. Thomas Dulorme and featured Jarrell Miller vs. Tomasz Adamek, Artur Beterbiev vs. Callum Johnson, and Danny Roman vs. Gavin McDonnell on the undercard. On October 20, Demetrius Andrade is still scheduled to fight for the WBO middleweight title, although it may not be against soon-to-be-stripped defending champ Billy Joe Saunders, who was recently denied a license to fight in Massachusetts due to a failed drug test. Hearn-promoted Daniel Jacobs, who is fighting Sergiy Derevyanchenko on HBO October 27 to fulfill his commitment to the premium cable channel, will eventually be headed over to DAZN as well. Hearn has also nabbed the rights to broadcast WBSS tournaments in America. And, of course, he plans on airing his Matchroom Boxing UK cards on the streaming service. However, despite so much content being pushed out to subscribers, there’s yet to be any real star power attached to any of it. Boxing has always been a star-driven sport and the future success of DAZN, like any other boxing broadcast platform, will depend on having a grab on the kind of names that excite fans and move them to subscribe. The good news for Hearn is that, with HBO’s departure from the boxing business at the end of this year, there are some decent free agent names on the open market. Saul “Canelo” Alvarez and Gennady Golovkin, especially, would be key acquisitions and would instantly nudge on-the-fence fans as well as some casual boxing fans to sign up. Canelo Alvarez’s December 15 bout with Hearn-promoted Brit Rocky Fielding may give Hearn the inside track when it comes to bringing the Mexican star aboard the DAZN team. At the very least, that one fight may have a good chance of being added to the streaming service schedule (and it will also give them a chance to further woo Canelo into signing a longer term deal). Manny Pacquiao is also a broadcast free agent without a firm US deal at the moment. The Filipino icon may prefer to base his fights and his entire operation outside the US these days, but his name still means something to American fight fans and mainstream sports people. Adding Pacquiao in any capacity would strengthen Hearn’s effort to boost overall exposure. One thing standing in the way of Hearn’s ability to add more names to the DAZN roster is the fact that he’s seen as an outsider in an American boxing scene that is very resistant to outsiders. Wedging himself into an already-packed and highly competitive current business environment is also surely not helping his star-finding efforts. “When you have managers and promoters and advisers saying to people, ‘Oh, you can’t go with DAZN. You’d be crazy. They’re not going to be around longer than for a month. Eddie Hearn, what does he know about the U.S. market?’ of course, it’s going to put off bigger names,” Hearn told UCN Live, “but you have to keep reinforcing what you’re doing, keep establishing the brand name of DAZN, keep striving for quality and great shows. There’s great production, great marketing, great promotion – we’ll be absolutely fine." In the meantime, as Hearn fights his way to the top of the US boxing hill with the DAZN project, fans will be left to decide whether it’s worth their money or not. Is the $9.99 asking price a good value for solid, good, and accessible? Or do fans want more sizzle with their steak?